Ohio Republican Governor John Kasich stopped by our Manchester location for an interview with CNN Chief Political Correspondent Dana Bash. The segment was aired on CNN’s Anderson Cooper 360! Governor Kasich had our Fresh Fried Haddock plate for lunch and raved about it. 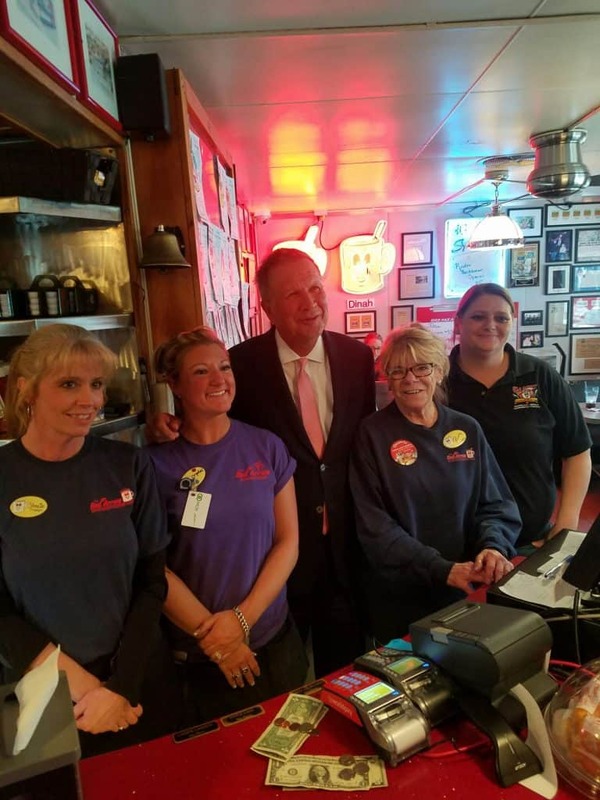 Thank you for visiting Red Arrow Diner, Governor! It was an honor to host you. Catch a clip of the interview on CNN.com. Next → Next post: Red Arrow Diner receives Hippo Best of 2018 Awards!